Every day at CALID I learn something new. Even after four months I am constantly learning new things about Ghana, its history, its people, and the social and economic challenges that CALID is working to change. I learn these things through my work and from my friends and co-workers here in the office, like Alhassan. Shani Alhassan is one of the dedicated and hard working staff of CALID. We spend a lot of time together because we share an office. As such, he is often my first resource if I have any questions. He often teaches me about Dagomba traditions and history, Ghanaian politics, and development issues that affect the northern regions. Alhassan was born and raised right here in Tamale, however his family is originally from a village called Sunsong in the Yendi district. His father’s uncle is the chief of Sunsong, where his aunties and uncles still live. Even now, he and his sibling return home every year to help with the harvest. Although Alhassan’s father moved to Tamale, his family still keeps strong ties with their home. He comes from a polygamous family, which is quite common in the north. Alhassan’s father has 3 wives and 13 children. Although he is his father’s third son, he is the eldest of 4 on his mother’s side. Alhassan always knew he would work in development. He studied Integrated Development Studies at the University of Development Studies (UDS) right here in Tamale. Growing up he went to a public school with a leaky roof, but was fortunate that his father could pay for home tutoring. He saw how he and his siblings advanced beyond the other students, and understood that not all of his classmates were as privileged as he was to get a quality education. He grew up in a society where a large proportion of the population is marginalized; he noticed that poor children couldn’t afford school, or people got sick because they didn’t have access to potable water. Alhassan knew that one day he would work to end these inequalities. In his university studies, Alhassan specialized in Environment and Resource Management, looking at subjects like biodiversity, conservation of forests and water, protecting species, and climate change. He is especially passionate about the relationship between environment, resource management and human development. These are important issues in Northern Ghana where desertification is catching up fast and is detrimental to people’s livelihoods. Northern Ghana is considered the breadbasket of the country. It is heavily reliant on agriculture, and most of the country's staple foods, yams, maize, millet, and so on, are cultivated here. Environmental degradation therefore threatens the economy and the livelihoods of much of the population. It is the poorest, most vulnerable groups who are most affected by these issues. Extractive industries are also a problem in Ghana. They can be a cause of tension when foreign companies make profits without benefiting local communities. In his spare time, Alhassan works as a research assistant with Venceremos Development Consults, a Research, Development and M&E consultant group, on a project working with mining communities that have been affected by competition with foreign mining companies. Although we do not deal directly with these issues, Alhassan likes working here because of CALID’s focus on education. He believes that many social, economic, and environmental issues the Northern Region faces could be solved with the creation of a more educated population. CALID also has strong programs for youth and encouraging participation in governance. CALID is working with youth and with wider communities to create a strong voice for change at the local government level. 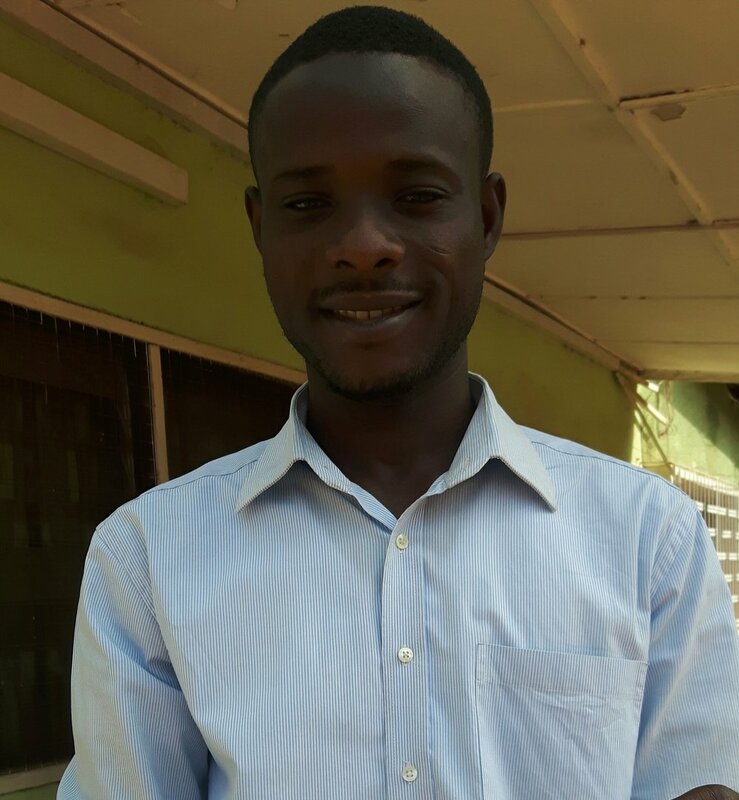 As the M&E Officer, Alhassan gets to be involved in all of CALID’s education and governance projects. He says that working here has been an eye opening experience. 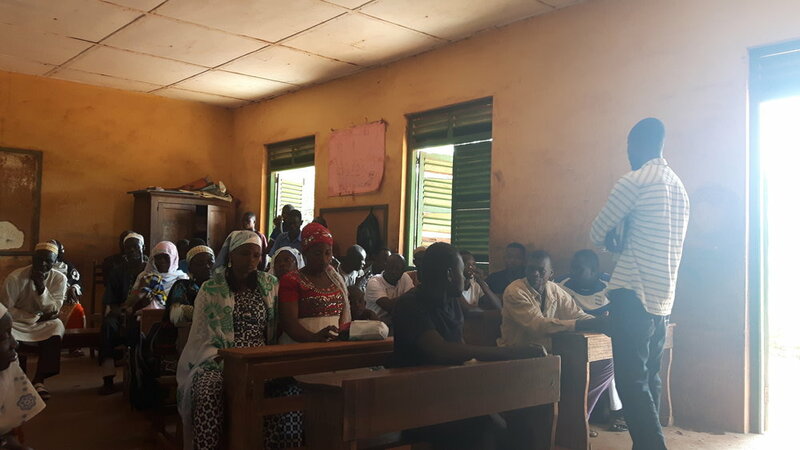 Through CALID’s projects he has seen how communities and marginalized groups are empowered with information, and with the right knowledge, are able to advocate for their rights. In the future Alhassan will continue to work in development, and on issues that he is passionate about. He hopes one day to be in a position to shape policies that will benefit the most marginalized groups.